This week in Nature it was announced that complex organic molecules were observed in a young planetary system. 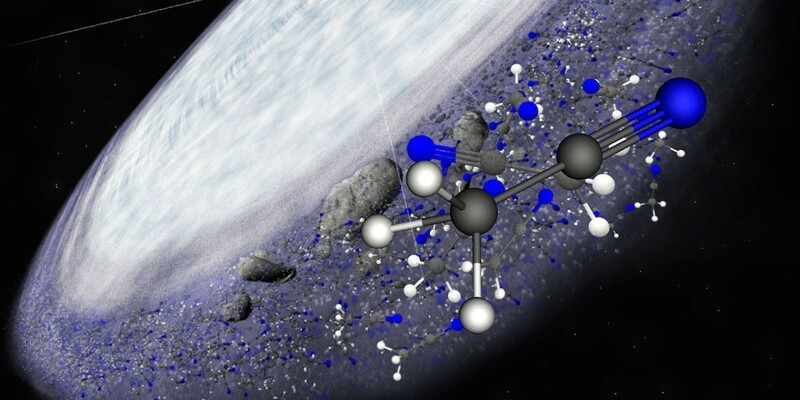 This isn’t the first time such molecules have been observed in space, nor is this result particularly surprising, but the result does confirm some of our suspicions about the chemistry of the early solar system. The team looked at a star known as MWC 480. It is about a million years old, and has a protoplanetary disk surrounding it. By analyzing the spectra from this star they found evidence of methyl cyanide and hydrogen cyanide in the region equivalent to the Kuiper belt of our solar system. This means that as the star’s planetary system forms, these organics will become locked up in cometary bodies. We’ve long known that cyanide molecules can exist in comets. In fact, one of the first detections of an organic molecule in space was the discovery of cyanogen in Halley’s comet in 1910. What this new work shows is that the comets of other planetary systems are likely to have similar organics. 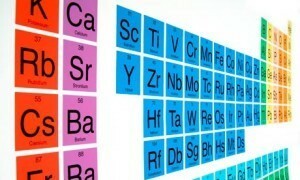 One of the reasons cyanides in space are interesting is that they are the types of molecules necessary to build amino acids and eventually proteins. We know that these “building blocks” of life have been found in meteors, and there is speculation that these kinds of molecules could have helped jump start the formation of life on Earth. 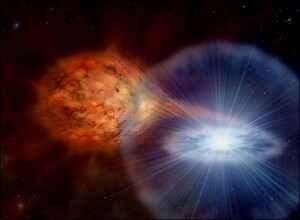 Since they appear common to other planetary systems as well, they might help jumpstart life across the cosmos. At this point we can’t be sure, but it does appear that the conditions of the one planetary system where we know life exists are not particularly unusual.